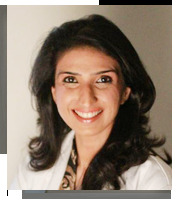 A doctor of high caliber, she is an expert in Laparoscopic Gastrointestinal & Bariatric surgical practice. She is also adept in Advanced Laparoscopic Surgical practice. She is a specialist in Breast & Endocrine surgical practice and General Surgical practice. She has gained tremendous expertise from treating hundreds of thousands of cases in all her specialities. She has also received exclusive, hands-on Fellowship training in Bariatric, Colorectal, Endocrine and Breast Surgeries from some of the best centres in the world. Dr. Hema has a Fellowship training in Bariatric Surgery from Cleveland Clinic, Florida under Dr Raul Rosenthal. She has completed Fellowship training in Robotic and Laparoscopic Colorectal Surgery at Korea University Anam Hospital, Seoul, South Korea, under the guidance of Professor Seon Hahn Kim. She also received specialised training in Breast and Endocrine Surgeries from SGPGI, Lucknow under Dr S.K. Mishra. She is trained in Single Incision Laparoscopic Surgery (SILS; stood third in the exam) and Metabolic Surgery (Ileal Transposition) for treatment of Diabetes. She was credited with Best Paper Prize at Update Ayurveda' 98 for her Paper on 'Leech Therapy: A Novel Therapy for Complicated Varicose Veins'. She has been awarded IAGES Travelling Fellowship for training in Basic Laparoscopic Surgery.